April is a month filled with birthdays around here. I’ve been scheming up really fun ways to celebrate that I’m excited to share. Carly’s bedroom balloon bombing got me thinking about how I could recreate the idea for my favorite people (who I don’t live with). The result? 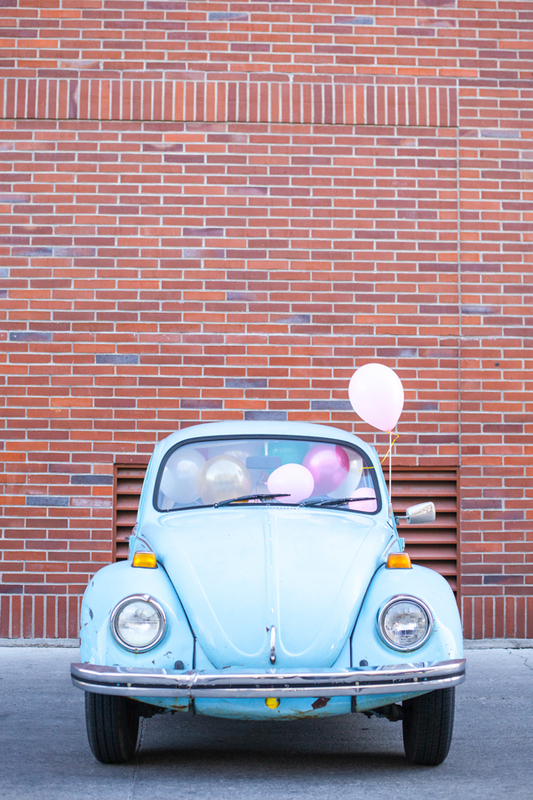 A car bombing… with balloons! 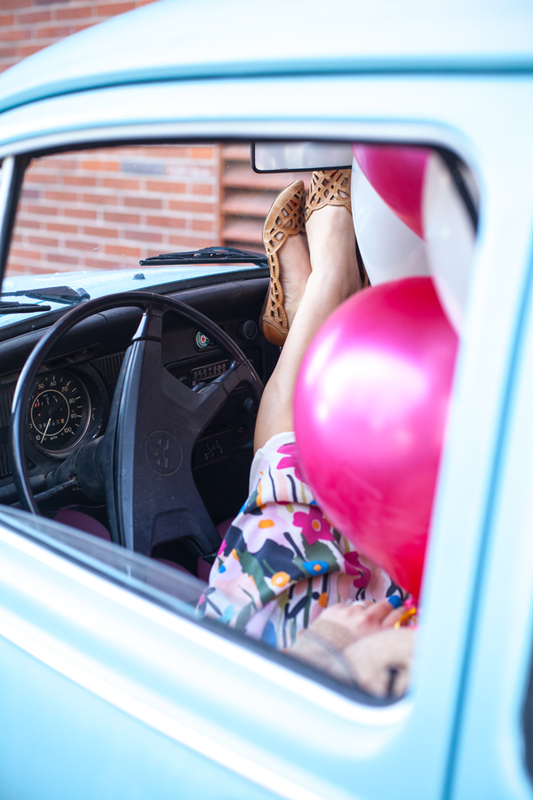 Make a friend’s day with she’s out running errands, surprise a family member while they’re at work, or let your beau know you care by filling their cars with balloons and leaving a sweet note of love before fleeing the scene. To do your own car bombing with balloons, purchase about 15 filled balloons (for a regular sized car) and blow up another 30-40 on your own. We transported ours in large trash bags which worked great. Fill the floors and seats with the breath filled balloons and top it off with the helium ones, to fill out the ceiling and window areas. 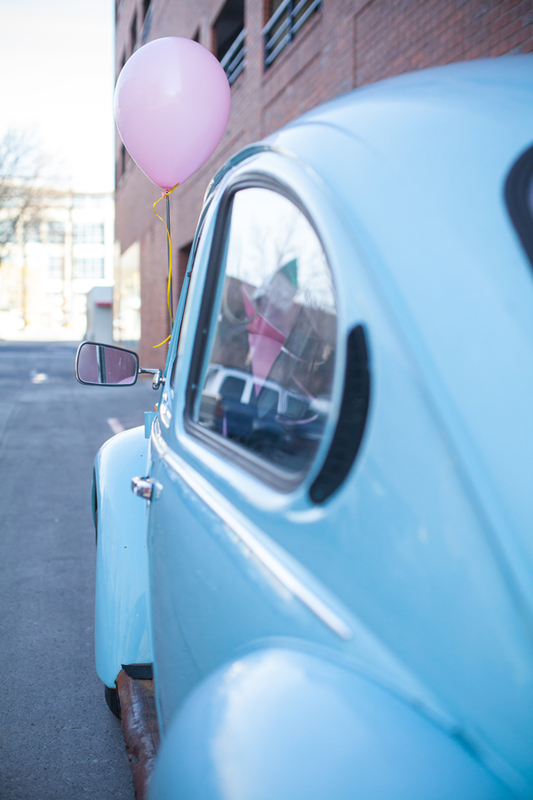 A strand of bunting in the window and a small love note left on the dashboard finish off the look. 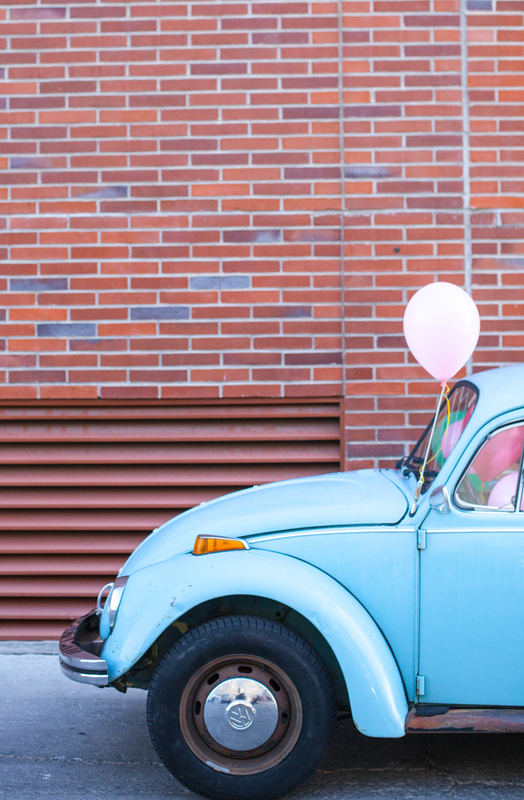 A quick tip to grab the keys while someone is at work; call in asking for a co-worker or assistant who will be overjoyed to run them out for this sweet surprise. Photography by Jocelyn Noel for A Subtle Revelry. 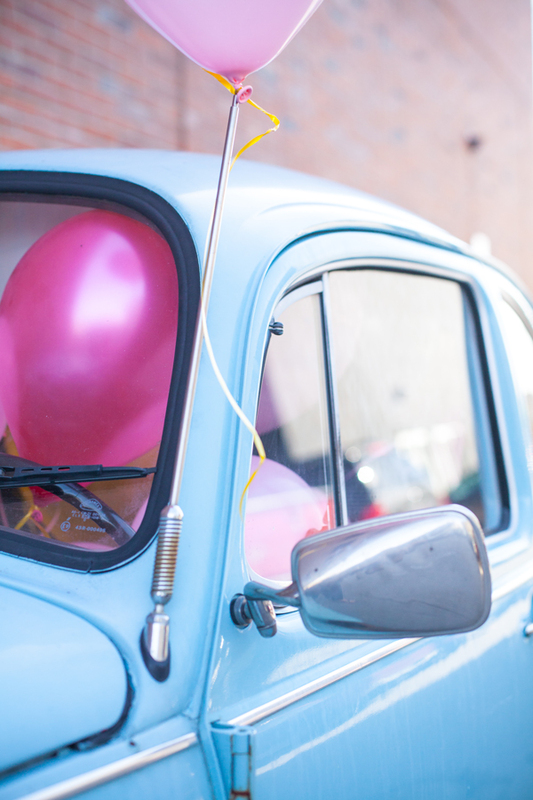 More birthday balloon ideas, right here. Cute idea but really unfortunate title of the post and name of this idea. A little insensitive, no? wow! Thank you so much for relying to my comment and engaging with your readers. So many bloggers don’t! I totally understand your intention. Love time reader and lover of your blog! This might just be the cutest idea I’ve ever seen! just a quick question….where are the shoes from? Les, The shoes are from ShoeMint – they are the most comfortable flats I’ve ever owned! LOL – That looks pretty fun! Hahaha! Great idea! I think Mylar balloons would be best for the occasion due to their durability.